The Chinese internet is driving change across all facets of social life, and scholars have grown mindful that online and offline spaces have become interdependent and inseparable dimensions of social, political, economic, and cultural activity. 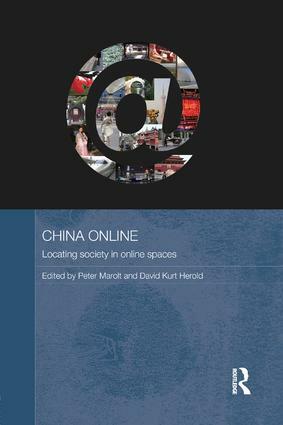 This book showcases the richness and diversity of Chinese cyberspaces, conceptualizing online and offline China as separate but inter-connected spaces in which a wide array of people and groups act and interact under the gaze of a seemingly monolithic authoritarian state. The cyberspaces comprising "online China" are understood as spaces for interaction and negotiation that influence "offline China". The book argues that these spaces allow their users greater "freedoms" despite ubiquitous control and surveillance by the state authorities. The book is a sequel to the editors’ earlier work, Online Society in China: Creating, Celebrating and Instrumentalising the Online Carnival (Routledge, 2011).